AXISPODCAST: Encouraging you to fight for your mind, your body, and your soul. In this episode, we interview special guest Lindsay Amilian. 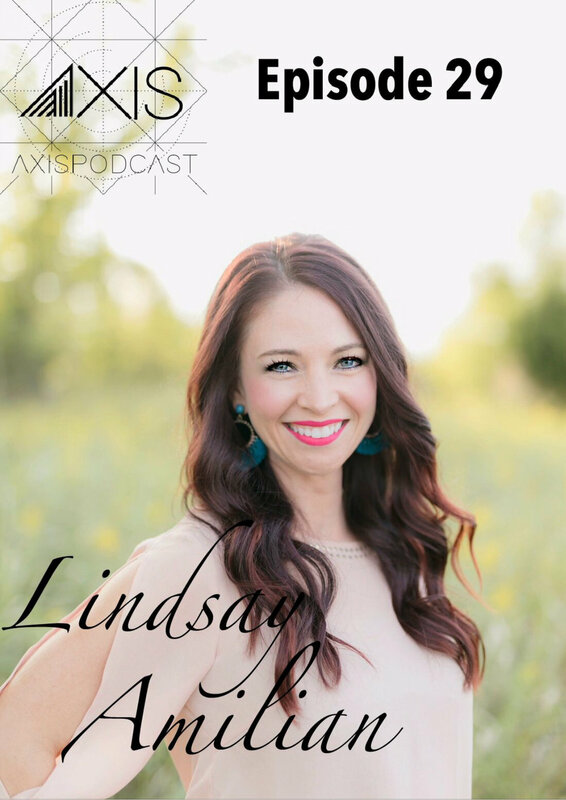 Lindsey is a former Oklahoma City Thunder Girl and currently, a wife, a dance fitness instructor, trainer, certified holistic nutritionist a mommy to her 3-year-old boy with a new baby on the way, but most importantly a child of the risen King Jesus. She says dance fitness is more than a passion of mine, it's a part of who I am and I love seeing my class members mirror this passion as I watch them transform by building self-confidence and a healthy body image. I'm also an avid researcher and investigator when it comes to nutrition and living out a pure, holistic lifestyle. After battling with stomach issues and inflammation, which turned out to be "leaky gut syndrome" and then led to "adrenal fatigue syndrome"...I had to learn how to heal my gut and start eating in a way that aided my body to restoration. Through this journey, I have tried and tested what it means to eliminate toxins, harmful chemicals and detrimental ingredients from my daily diet and lifestyle. My program "Pure Sweat Project" is a direct reflection of the things I've learned, the failures I've overcome and the successes I've come to humbly rejoice. Teaching has become an avenue that sets my heart on fire to help educate, motivate and inspire others to transform their lives as well.